My initial plan for Dartford parkrun event 27 was to use it as an opportunity to practice my 20 minute pacing role which I will hopefully take on again in a few weeks time. However, none of the super-speedy kids turned up and I found myself right in the mix at the front of the pack from the off. Through the first 200 metres or so I kept the pace relaxed and eventually another runner went past me to lead the group of 121 runners around the park. At this stage I still had it in mind to practice my 20 minute pacing so I didn't follow him as he edged slightly further away. As we progressed along the grassy trail section I found that I was running side-by-side with the President of Dartford Harriers AC, Tony Durey. We stayed this way for the rest of the lap by which point we had moved up into positions 1 and 2. Shortly after this we expanded into a trio when we were joined by the lead woman. The three of us stayed together shuffling around between the first three positions. We were briefly separated during the second time up the slippery trail path and then we shuffled around a little more. By the time we had made it to the end of the football pitches, Tony and the lead lady had edged ahead of me and they both used the downhill path to greater effect than I did, increasing the gap. I managed to close the gap a little during the first half of the final kilometre but as we neared the end, they again started to edge away from me and I watched the battle for P1 unfold from a few metres behind. In the end the lead woman finished in overall first position. 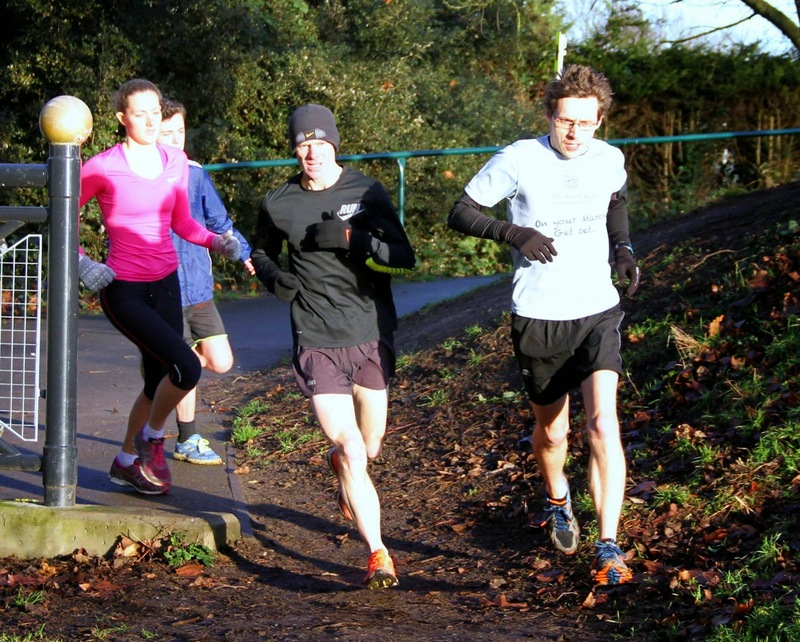 This was the first time that the overall first finisher had been female at Dartford parkrun, but she did not have a barcode and went down as an unknown runner. This initially had a knock-on effect on the results because it meant that both of the day's first finishers' names were missing from the event history page. This is because unknown runners are recorded as 'male' by default. So the unknown female runner was listed as the first male finisher and Tony's name did not appear at all. The overall second female finisher, triathlete Tanya Brightwell, was listed as being the first female finisher. 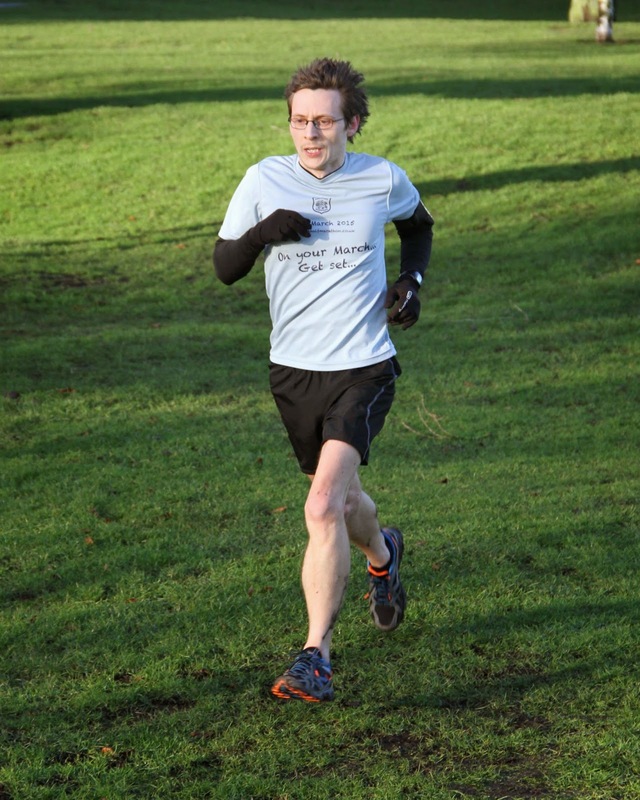 That was until Richey had a little chat with parkrun hq and was provided with a solution. The results tables now correctly show 'unknown athlete (f)' as the first finisher and Tony as the first male. My splits from the run were pretty good and my last kilometre turned out to be my fastest of the entire run which doesn't happen that often. My pacing practice went out of the window and I ended up finishing just 1 second slower than the previous week which I was very pleased with considering I am 'having a break' and hadn't run since the Kent Fitness League race at Minnis Bay six days earlier. After this I did some barcode scanning and then went out to retrieve the signage and cones from around the course. I returned to the clubhouse to find a lovely cup of tea awaiting me. 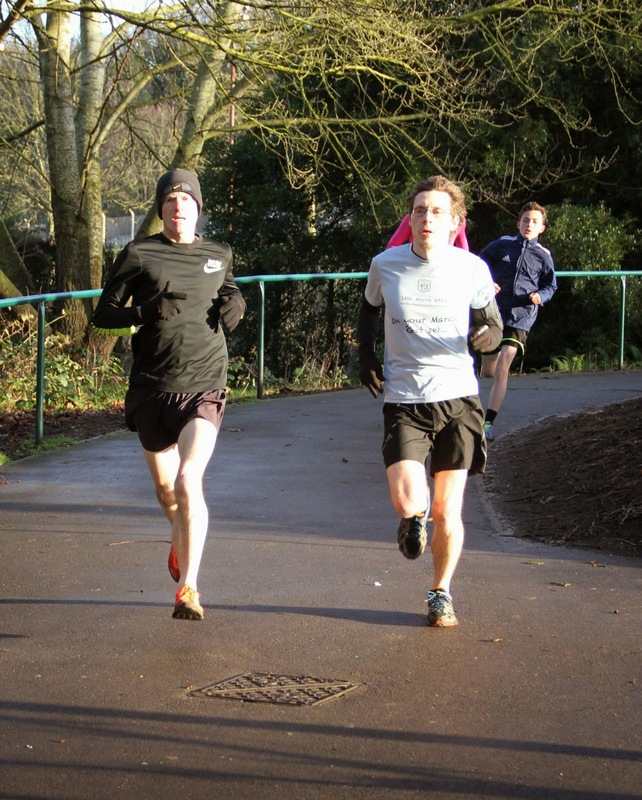 As always it was another great parkrun morning.